'Atlanta's Got a Mayor Named Keisha' Lance Bottoms: What Exactly Does That Mean For Black People? It is critical that we unpack the substance beneath the sensation. Bottoms is Black; her name is Black; but are her politics in the best interest of Black people—and, if so, which ones? There are not many people, let alone elected officials, whose names become a movement onto themselves. 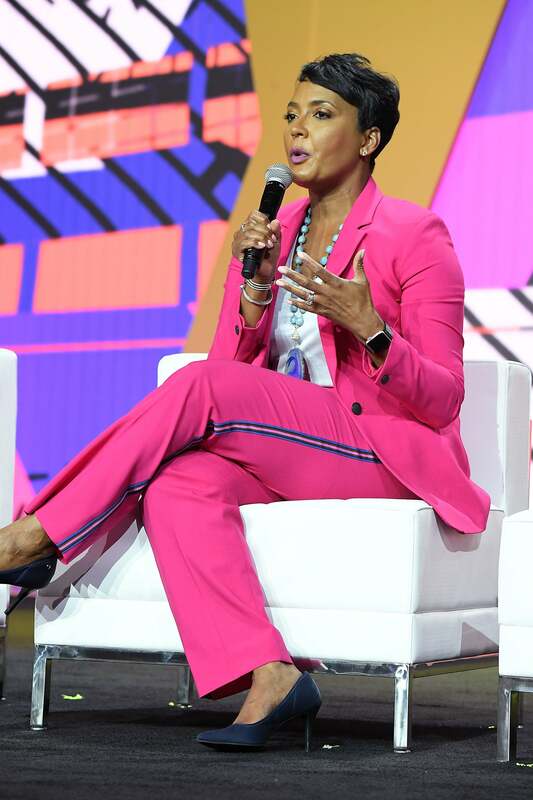 Keisha Lance Bottoms, 49, mayor of Atlanta, Georgia, fits the bill. “My mayor’s name is Keisha,” or “Atlanta’s got a mayor named Keisha” became a catchphrase, a hashtag, and a mantra splashed across t-shirts. It was shouted and sang with equal parts reverence, excitement, disbelief, and joy—but, in some circles, it was said with skepticism and caution. All skinfolk aren’t kinfolk, so Black people around the nation waited to see how Bottoms would navigate her power. On its face, the excitement around Bottoms’ win could be viewed as identity politics in overdrive, but, in truth, it was so much more. A Black woman, in arguably the Blackest city in the nation—if not by the numbers, then definitely for the culture—with a name that has been mocked and denigrated by white people and so-called respectable Black folks as too “ghetto,” a Black woman with the kind of name that sends resumes to the bottom of the stack, became the HNIC and it was glorious. And while Bottoms rode that wave like a true Atlien—even throwing in a “yeek” to show it’s real—she quickly got down to the business of running the city, reminding the nation that while there is poetic justice in her name, her qualifications and leadership skills are the reasons she’s sitting in her seat. Still, it is critical that we unpack the substance beneath the sensation. Bottoms is Black; her name is Black; but are her politics in the best interest of Black people—and, if so, which ones? Bottoms, a graduate of Atlanta’s Frederick Douglass High School, received her undergraduate degree from Florida A&M University and her Juris Doctorate from Georgia State University College of Law. She served eight terms on Atlanta City Council before defeating businesswoman and former Atlanta City Council member Mary Norwood. During Bottoms’ time as mayor, she has eliminated Atlanta’s cash bail bond system, a draconian money-bail scheme that places a price tag on freedom for the most occupied and economically exploited communities, leaving them caged in modern day debtor’s prisons. Bottoms’ has also joined the Mayors Against Discrimination Coalition to expands rights and protections for the LGBTQIA+ community, and signed an executive order closing the Atlanta Detention Center to ICE detainees. While these executive decisions place Bottoms on solid progressive footing in some circles, she has also faced intense criticism for her staunch support of the Atlanta Police Department. One of her first moves once being sworn into office was to approve a massive $10 million raise for APD. Bottoms, who shares four children—Lance, Langston, Lennox and Lincoln—with her husband, Home Depot executive Derek Bottoms, is well aware of the potentially fatal harm that is too often the end result of Black children’s interaction with police officers. In 2015, in her capacity as a city councilwoman, she was not hesitant to voice her concern about a billboard erected in the city warning children not to run from the cops. While Bottoms has called APD a “world class police force,” social justice organizations have called on the mayor to address police violence in the city in the wake of the deaths of Jimmy Atchison, 21, who was reportedly unarmed when he was shot and killed by Officer Sung Kim during an FBI raid in January; and D’Ettrick Griffin, 18, who was also shot and killed by an Atlanta police officer during an alleged car robbery. 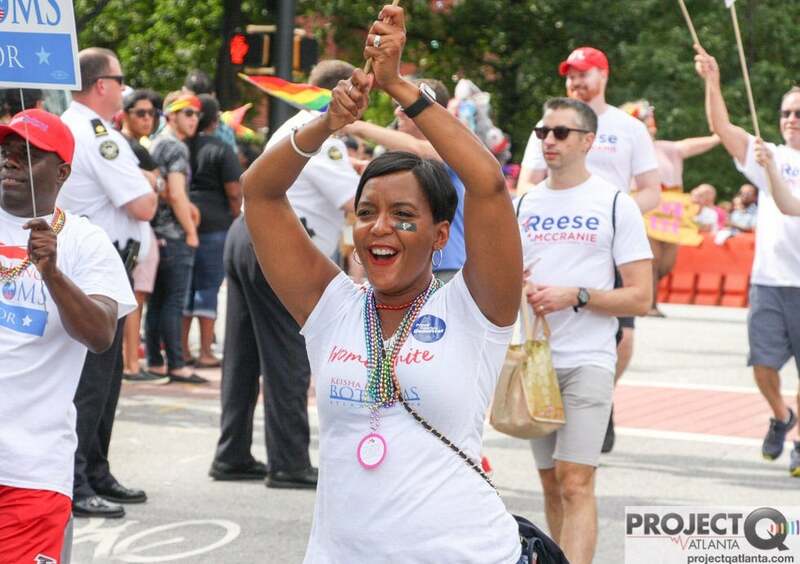 Bottoms has also faced wide-spread backlash for her failure to curtail marijuana-related arrests, though as a councilwoman and mayoral candidate, she supported the deprioritization of marijuana possession. In the face of rampant police brutality, a public education crisis, and persistent and rising housing and income inequity in Atlanta, Bottoms knows she has a tough job; she also knows she has a responsibility to the community from whence she came. She is a Black woman attempting to make executive decisions for her city with the weight of the (Black) world on her shoulders, but also the spirits of Black ancestors guiding her steps, even when she stumbles. Indeed, she does. And there is a new generation of activists and organizers who will both cheer her on and hold her accountable every step of the way.